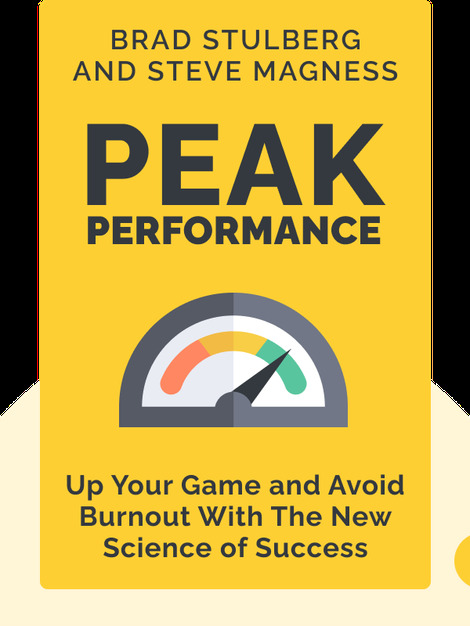 Peak Performance (2017) employs success stories, case studies and various examples of athletes, artists and intellectuals to give you a crash course in performance. These blinks explain why performance became so integral to society in the first place and how you can be your best. Brad Stulberg and Steve Magness are both experts on human performance. Stulberg worked at McKinsey and Company and has coached some of the top business executives in the world. Magness holds a Master’s degree in Exercise Science and has coached Olympic athletes. Together, their writing has been featured in publications such as the BBC, the New Yorker, the Wall Street Journal and NPR.